Yesterday I washed my punch bowl and glasses and packed it away for what I first thought would probably be another year before I realized I have a daughter graduating this year and more than likely will be hosting a reception of some sort for her. A simple way to serve drinks at a reception is of course, with a punch bowl and having a couple good punch recipes up your sleeve... or in your files is a must! This is one I found on a recipe board for public use. It's probably similar to recipes we all have in our files but I liked how simplistic the ice ring instructions are and frankly, I was just too lazy to type them all out. Ha. Yes, I do always use ice rings when I use my punch bowl and yes, I also always add flowers, fruit or other additions to the ice ring to make it beautiful. I like to use fake flowers that have been washed well to remove any chemical sprays. This way when the ice ring melts the flowers typically still float on the surface or just look pretty in the last remaining inch or so of punch in the bottom of the bowl. Make an ice ring using at least one of the punch ingredients so that as it melts it will not dilute the punch. Use a bundt pan or an angel food cake pan for a ring or if you don't have one, just use a bowl or pan (making sure the bowl can be frozen)for a solid circle. Earlier today I posted a recipe for a casserole that would serve 50 and baked in under 30 minutes for anyone looking for a last minute recipe to serve to a large group of people perhaps gathering for a New Years Eve feast or if you are hosting one tomorrow. I also wanted to be sure to publish these to my collection for future use at graduation receptions, baby showers and family reunions. Recipes for crowds are hard to find and having them quick and easy at my disposal is always helpful. Well, I liked the idea of having them on my website for 'quick finding' so much that I have decided to add some of the others. I have them in my 'paper files' here in my home but truthfully, I love to bring up my website when I'm cooking and just have my laptop next to me on the kitchen counter. Without further adieu let's get cooking! Another recipe for a crowd. Make dressing in a separate bowl. Combine all ingredients and pour dressing over salad. Refrigerate. *I thought this was an interesting addition but it's certainly not a must have. You can leave it out and just use an additional 1/2 cup of mayo if you'd like. Quick! A Last Minute Recipe to Serve 50 People! Cheesy Chicken Casserole! Tonight, there are many people hosting get togethers and parties. Big, small, intimate or other... groups are gathering to celebrate the New Year. If any of my readers are currently online searching for a quick, easy meal to serve up to 50 people and they either have canned chicken on hand or they are regular readers of mine and have cooked and diced left-over chicken or turkey in their freezer already, then I have a recipe for you that can be done in about 30 minutes!~ Time enough to make it, go get ready for your guests, set the buffet while it bakes and greet tonights crowd with a smile on your face and a yummy, filling meal to serve. If you don't need it for tonight (because I'm hoping you have planned better than that!) then save this one for future reference. You always have times you'll need to feed a crowd! Family reunions, graduation receptions, some down-home wedding receptions, baby showers and more. Combine the first eight ingredients with 4 cups of the cheese. Mix well and spoon into four greased 13" x 9" x 2" deep baking dishes. Sprinkle with chips and remaining cheese. Bake, uncovered, at 350° for 25 minutes or until hot. Mmmm... Betty Crocker! How do I love thee? Let me count the ways! Betty Crocker was one of my first 'real' cookbooks, one I wouldn't be without and one that I've bought numerous copies of over the last 20 years to give as bridal shower and wedding gifts. About 5 years ago I even bought three copies of the special Christmas Cookie cookbook to give to my kids when they get married, as it's been a tradition in our home each holiday season to sit and gaze at the pages and pages of cookies and gingerbread house and bars and the children would call out "I get this one!" "I want that one!" "I get this one!" and 'call dibs' on the photos of 'their' cookies. Yes, Betty Crocker is a staple at our home and this drink idea in their latest newsletter is no exception. Copying here for my own personal use, I can't wait to make these and wish I was having a New Years Eve party just so I'd have an excuse to serve them! They are so pretty and festive! In 3-quart plastic container, beat all ingredients with wire whisk or spoon until well blended. Cover and freeze at least 24 hours until slushy. Serve in margarita or cocktail glasses. How about a fast and furious recipe for the quickest carbonara recipe you might ever make!? It's time for me to head to work but I wanted to update my page first. This quick and easy recipe from my files might just fill the gap and fill your stomach on a cold winter's day! To the bacon in the pan, add the jar of alfredo sauce. In another pan, gently cook the onion in a bit of olive oil. Add the 3 cloves of garlic the last 3 minutes or so. Add the alfredo sauce and bacon to onions and garlic. Meanwhile, boil the tortellini about 4-6 minutes until al dente. Mix sauce with pasta. Some people like to add a cup of pea's to their version of pasta carbonara. Me? I just add extra bacon! Although I absolutely love my pumpkin bar recipe (available under 'bars' in the search labels to your right) I love pumpkin bars so much that I always keep my eyes open for more versions. Another love of mine is cream cheese. I decided way back in high school that cream cheese was one of my all time favorite foods because of the endless possibilities it affords. It can be added in casseroles, soups, sauces, desserts, dips and appetizers... anything! I love it just as much as I love onions... and that's a lot! This recipe is from Sunset magazine and is about 6 years old since they published it, but far older as it's one of those recipes that has been made by our Mothers, Grandmothers and Great Grandmothers for generations and published in numerous church cookbooks and handwritten on scads of recipe cards. There is just something about pumpkin bars that makes you want to sit down at the kitchen table with one or two bars and a steaming hot cup of coffee. In a bowl, with an electric mixer on medium speed, beat butter and 1 1/2 cups sugar until smooth. Beat in 2 eggs, pumpkin, and 1/3 cup water until well blended, scraping down sides of bowl as needed. In another bowl, mix flour, cinnamon, baking soda, baking powder, and nutmeg; stir or beat into butter mixture until well blended. Spread batter evenly in a buttered and floured 10- by 15-inch baking pan. In a bowl, with an electric mixer on medium speed, beat cream cheese, remaining egg, and remaining 1/4 cup sugar until smooth. Drop cream cheese mixture in 24 evenly spaced 1-tablespoon portions over batter. Pull a knife tip through filling to swirl slightly into batter. Bake in a 350° oven until center of pumpkin springs back when touched, about 30 minutes. Let cool completely in pan, then cut into 24 bars. Although I made a number of things in addition to the ones pictured above, I wanted to put a quick photo up of some of the goodies made this year for Christmas. At the holidays I like to take a moment and spread a little bit of cheer around, whether it's to the mail person, the bus driver, teachers or the neighbors. This year the holidays snuck up on me and I didn't get as many recipes made as usual (about 25 average) but I did get about 14 done, or something like that. This year I found little red and green containers with lids at the dollar store, in addition to 4 little santa shaped containers. The smaller ones for general giving to my neighbors but the larger Santa container to that 'special' neighbor or friend. While I can't afford a $25 gift card or anything like that for the many people on my list, I've found that cookies and goodies are an affordable and wonderful way to say "Merry Christmas! I appreciate you!" and at this busy time of year, the goodies are always welcomed! Every year for the past 15 years my kids and I have made different versions of M&M Pretzels. Originally started with just a Hershey's Kiss and a plain red or green M&M we later tried different versions and had some fun with different combinations. It's so easy and quick to make them it's wonderful for children to help Mom in the kitchen. If you can, look for the round pretzels. Typically only available around the holidays they are worth looking for if you can find them. If you can't, use regular pretzels and make due. Place a pretzel ring on a baking sheet. Top with a Hershey's Kiss. Place in a warm oven (325 degrees) for about 5 minutes until the chocolate is glossy and soft. Place an M&M into the center and press lightly. What is wonderful to use is the new Hershey's Caramel Kisses and a Peanut M&M. The mixture tastes exactly like a Take 5 candybar. Let them cool completely or put them in the refrigerator to hurry the process. Another fun idea is to take a pretzel and top with a Rollo candy or a caramel Kiss. Instead of an M&M top with a pecan. It makes an instant turtle candy! I think 'salad' is such a broad term I wish there was something else I could call this. It's a delicious mix of black beans and peppers with a hint of lime to bring it all together. My husband loves black beans and I try to use them often in salads, chili, soups, dips and spreads not to mention serving them along side Spanish rice when we have a Mexican themed dinner. He loves them in any way, shape or form! So it's with my husband in mind I tracked down this recipe some time last year and added it to my collection. I hope you do to. Blend all ingredients and either serve immediately or chill and serve. Best if not straight from the refrigerator. Looking through my files this morning I decided I was really tired of looking at these photos and wanted to get them posted. Never mind that it's December and everyone's tomato plants stopped producing 3 months ago! (Ha ha). This was intended to be a post on what I did with the cherry tomatoes that just would not stop producing this year! For whatever reason (it made sense at the time) I planted 4 or 5 cherry tomato plants last summer. Not realizing how over-abundant they would become we had brilliant small salad tomatoes coming out our ears. By the end of the season when everything else had stopped producing and I was starting to compost the vines and remains, my plants were still giving me tomatoes. Although not optimal for this usage, I went ahead and used a bunch of them to make my canned salsa (tasted amazing but did have a lot of tomato skins in it as you can't skin and seed a tiny cherry tomato as you can a regular tomato! ), I also made many into homemade tomato juice as well as resorting to filling gallon baggies and freezing them whole for use in chili and soup this winter. Here are some photos I snapped of making homemade tomato juice. Although these are not the tomatoes you want to use, if you are trying to use up pounds and pounds of cherry salad tomatoes, this is what it looks like when you make homemade juice out of them! Starting to cook them. As they get hot they get very plump and shiny. Continuing to simmer them they start to break down into their own juices. Straining the pulp and skin from the juice. Pure, fresh, hot tomato juice. This is not being 'canned'. This particular jar wasn't filled all the way so he went into the refrigerator for immediate use that week. The other filled jars had 1/2 t salt and 1/2 t lemon juice added and then were sealed and given a 35 minute water bath to process. If you don't have enough juice to completely fill the canning jar make sure you refrigerate it and use it within a week or two. Do not try to process a half filled jar. A pan of half peanut butter chip brownies and half plain, when I saw this photo close up (in my files) I decided today would be a brownie post! Not something I typically make for the Christmas holidays, I know others do! Quick and easy because you start with a dry cake mix you probably already have on hand, these caramel brownies are moist and delicious. Add or delete nuts and flavored chips as you wish. Preheat oven to 350. Combine the cake mix with the nuts in a large bowl. Stir in the butter and 2/3 cup of the evaporated milk. The batter will be very thick but spread half of it into an ungreased 13X9 inch pan. Bake for 15 minutes. Heat the caramels with the remaining evaporated milk in a pan, over low heat. Stir constantly until the caramels are melted. Don't get impatient and turn up the heat or they will scorch. Sprinkle chocolate chips over the brownies and drizzle with the hot caramel mixture. Drop the remaining batter by teaspoon fulls over the caramel mixture (add the optional chips or more nuts on top if you like) and return to the oven to bake for 25-30 minutes. Garlic... again. Yes, I warned you, my family loves garlic based dishes! The sweet taste of real garlic is nothing like garlic salt or garlic powder, so if you haven't tried real garlic yet, I urge you to. This recipe doesn't use much. Garlic is a 'hint' not the star of the show. Try it out. Cook the pasta as directed on package. In the meantime, melt the butter in a saucepan. Add garlic, and cook until tender. Whisk in half and half, and basil. Whisk in cheese. Drain pasta and place in a large serving bowl. Pour sauce over top. Serve with a nice crusty bread and a side salad. Delicious! Our family goes absolutely nuts over garlic. Another plus to raising the kids with a healthy variety of foods and never, ever letting them get boxed into only accepting three or four foods they 'would' eat when they were small. This garlic bread is always a hit with my crew, especially my girls. Tonight I made two loaves of french bread and made them into cheesy garlic bread. My 12 year old asked if she had to have soup because all she wanted for dinner was the bread... lots and lots of bread. And my 17 year old? Would live on garlic bread if she could. Place everything in a bowl and microwave for 30-60 seconds to soften. Mix with a rubber scraper or wooden spoon until completely blended. Spread on one side of each slice of bread. Bake on a baking sheet at 400 degrees about 7 minutes until done to your liking. Less for soft bread, more for crisp and golden. Goes excellent with almost any food from seafood to pasta, from spaghetti to soups. We love this bread! I didn't grow up drinking eggnog and it wasn't a part of my families holidays. I believe I may have seen a carton of store bought eggnog at my Grandmothers on Christmas Eve but my own family never served it and never had it. About 10 years ago, when we started to seriously put into place our own holiday traditions for our children, eggnog was one of them. But... I have to admit I wasn't crazy about it. That is why, over the years, I usually make a 'faux' eggnog recipe. My recipes use anything but eggs. They use milk, pudding, ice creams and almond flavoring... but not eggs. LOL. My husband however, likes anything remotely called eggnog. He loves them all! So, I collect lots of 'different' recipes for it. This recipe is from my collection and I chose it because it uses odd ingredients like marshmallow creme! To make it non-alcoholic just choose the rum extract instead of the real thing (if you are concerned about the tiny amount of alcohol that goes into the mixture). 6 eggs - one at a time, and beating well after each addition. Blend the marshmallow creme with the softened ice cream. Beat in eggs one at a time, beating well after each addition. Stir in rum then fold in the Cool Whip. Before serving, sprinkle with nutmeg. After feeling incredible guilt about not getting started on holiday baking yet, I did a tiny marathon baking day yesterday and got about a dozen items made. The Peppermint Pinwheels were of course, one of them! So pretty on the plates, they are a favorite of almost everyone. I do have a couple hints to this one though. Last year I had a problem with getting the right minty taste. The recipe calls for 1/2 teaspoon of peppermint extract. I bought a bottle last year but found it had almost no strength. I had to add more and more... and still didn't get a good minty taste. Instead I ended up using peppermint syrup I had on hand for coffee. This year I anticipated the same, and I was right. If you want to make this recipe I would strongly suggest buying the flavored oils, not extract - or if you do buy peppermint extract do not buy the cheap plastic bottle next to the vanilla. Buy the smaller glass, brand name extract for best results. In mixing bowl cream butter and sugar. Beat in egg yolk and vanilla. Combine the flour, baking powder and salt. Gradually add to the sugar mixture. Mix well. Divide dough in half. Add the red food color and peppermint extract to one half, leaving the other white. 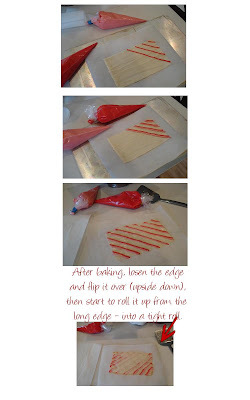 On a lightly floured work surface roll out the dough to a 16 X 10 inch rectangle with a piece of wax paper between the dough and your rolling pin. Repeat with the second dough. Carefully place the first dough over the second and lightly roll them to bind together. Roll up tightly from the long side. Wrap in plastic wrap and chill for a couple hours until firm. Unwrap the dough and cut into 1/4 inch slices placing them approximately 2 inches apart on greased baking sheets or parchment lined sheets. Bake at 350 approximately 12-14 minutes until set. Cool for 2 minutes before removing from the baking sheet to a rack to cool completely. Christmas Baking... A Dozen Things Done and I'm Happy with the Sugar Cookie Glaze. I sent my husband out the door with an errand list a mile long and the deal was he would do the last items on our Christmas lists if I would stay home and get started on the baking. He must be desperate for some homemade Christmas goodies around here because it was COLD out there! I'm happy to report that 8 1/2 hours of baking and cooking now has my freezer full of 12 items! Twelve! What a great feeling. I know I'll be too busy this week to do any baking and who knows what next weekend will hold! So at least I have a good start. Combine powdered sugar, water, butter, corn syrup and vanilla in small mixer bowl; mix until powdered sugar is moistened. Beat at medium speed until smooth, adding additional water if necessary to reach desired spreading consistency. Tint with food color, if desired. Glaze cooled cookies and let stand until hardened (6 hrs. or overnight). I did not actually measure everything (oh come on... you know that's how I cook and bake!) and I'm very, very happy with the results. You can see how brightly colored the red and green are in this picture I snapped of some of the items on the table. It's official, I started the holiday baking. Of course 'start' means I have only made one thing thus far, but I have 'grocery shopping' on my list for later today and I hope to pick up some ingredients so I can truly start in earnest. The cookies I made yesterday are a simple sugar cookie - with sugar, butter, eggs, vanilla and flour. Simple and delicious! Not too sweet, they can handle a sweet frosting with no problem. I can't get the image of out my head of how I want them decorated. That is; a bright glaze but not a buttercream frosting. Here is a glaze recipe from Land O' Lakes dairy that I've not tried yet but will be making later this weekend after I buy more powdered sugar. Looking over some old files I found this one from over a year ago.... Perfect to bring out this morning as many people prepare to do some holiday baking and find themselves without brown sugar, or almond extract or even buttermilk or unsweetened chocolate. Emergency substitutes for a variety of foods. 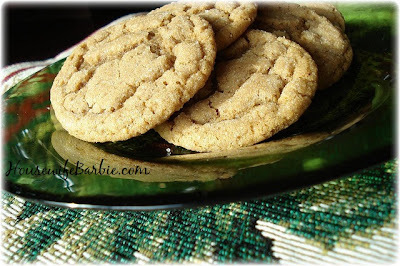 It started out innocently enough... the 2 or 3 'must have' cookie recipes during the holidays. But each year I would make those plus a few more. And the new ones were added to the 'must have' list as well. By the time we had been married 15 years the list was to about 19 different recipes and I believe last year it might have been around 26. And, out of all those recipe do we have one that is everyone's favorite? A family favorite? One that every single one of us loves? We do. And most people would never, ever guess that KIDS would love a molasses cookie. Even the name sounds old fashioned! But this is the ultimate Christmas Cookie. The one that everyone wants the recipe for. Everyone loves. The recipe makes a triple batch. Mix it up and then divide it into gallon ziploc baggies and mix up each portion as you need it. Here is a bit of feedback I received by email from a reader who enjoyed these cookies! Beautiful Striped Cookie Sticks to add to your Christmas Goodie Platter! Let's all channel the 'inner Martha' in all of us and make some yummy striped cookie sticks! A simple recipe that reminds me of the flavor of fortune cookies, you can also add a bit of peppermint flavoring to make them minty. They take a long time to make so be sure you have a good 2-3 hour window 'free' to embark on these if you decide to make them. I personally got to the point where I was so sick of making them that I got a little sloppy, my lines weren't perfectly straight and I didn't care anymore. At that point I threw away the rest of the batter (which would have made about 2 more cookies) and called out 'Enough!'. Unfortunately for me they were a huge hit with my family, they loved them and they've since declared we have yet another 'must have' during the holidays. I just cannot fathom how fast time is whipping by me. Do you know I normally have about 500 items made by now and this year, so far, the count is.... zero! This weekend is a big tournament at my childrens high school. Last year at this time I had so many goodies already made that I was able to bring about 6 trays of mixed goodies to sell at a large bake sale that is held. This is what made me realize just how behind I am. When I was looking up some of my Christmas Cookie recipes in the search bar to the right of these posts I was sad to see that google indexed all of my December posts last year onto one page. This means if you want 'just' the recipe for rosettes, it brings you to the archived page for the entire month of December. That's a lot of recipes to wade through! So this has led me to decide to repost many of my favorite holiday recipes again. This is a great idea anyway because these are the actual recipes I make each and every year, and having them first and foremost on my website makes it easier for me to find them, as well as for my brand new readers. So prepare to start your baking! A New Twist on Serving a Mexican or Taco Dip. Build it Up! 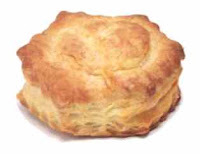 This mornings recipe is 'inspired' by this photo I saw on a recipe from my uber-favorite 'Southern Living' emails. The photo is of their Sun Dried Tomato and Basil appetizer but that isn't a recipe that would go over well in our household. I personally don't like sun dried tomatoes and neither do my family but the photo was an inspiration because to me, when I first saw it, I thought it looked like a typical Mexican dip. As a matter of fact my first thought was "What a great way to garnish and serve a 7 layer Mexican Dip" only to find it wasn't that at all. So the photo serves as inspiration. Most people make and love some version of a 7 layer dip for parties because they are so good and so very, very popular. It's time to build it up a little! No more 'flat on the tray' dip. Let's take it to new heights! Using a typical layered taco dip like this one I published last December, we are going to use a spring form pan to build the dip and then chill it at least 12 hours to help it 'set up'. Let's start with a typical taco dip recipe. Use your own if you like... they are all similar. The idea however is that you need to make sure you use cream cheese in the revised version so it will hold its shape! Mix the refried beans and black beans together and add package of taco seasoning. Mash the black beans a bit with a wooden spoon to help blend. Using a mixer, blend the package of cream cheese with the sour cream. Stir in the chopped green onions and salsa. Mix the guacamole with the 4 oz. cream cheese with an electric mixer. Spray a springform pan with a cooking spray and spread a layer of the bean mixture, follow with a layer of the white sour cream mixture, then a layer of guacamole, a sprinkle of cheese and black olives and then repeat the layers again. Make them as thick or thin as you like - it's your dip! I love the garnish on this photo! You can achieve it by using springs of rosemary if you can find them and tiny bits of red pepper. For my family - or a large group I would double this recipe and make a nice tall dip. When it's as full or tall as you like, cover the top with plastic wrap and chill for 8-12 hours. When you are ready to serve, run a knife around the edge of the pan and carefully remove the sides. Serve with tortilla chips, pita chips or celery sticks. My regular readers know that I would probably serve myself an extra helping of potatoes before I'd reach for a slice of chocolate pie, or I'd have a tall glass of ice water while everyone else was grabbing handfuls of Oreos. I can't help it. I just don't 'crave' chocolate like some. Another thing I don't care for... hot chocolate. Not even on a freezing cold day in the Midwest. But here is a recipe that someone just like me can truly enjoy. Not hot chocolate... but hot vanilla! In a medium bowl, whip 1/2 cup of whipping cream until it's frothy. Add a dash of powdered sugar and a dash of cinnamon, then continue to whip the mixture until peaks form. This will be used to top your hot drink. For each hot vanilla, microwave 1 cup of milk and 2 tsp of sugar in a mug for 90 seconds. Stir in 1/2 tsp of vanilla extract. Top with a dollop of whipped cream, a *optional* drizzle of chocolate syrup or even a candy cane! I'm laughing about this now... but only just barely. Looking over some old files I saw that I was going to post this recipe book from Stonewall Kitchen - back in May! Ha Ha. That tells you about how busy I am. Gah! So from May... I give you a yummy, delicious cookbook that probably should have been posted last Spring or Summer! Ha. Instead... we can call it a Christmas gift. For many of my readers this month is a time of holiday parties and gatherings. It's a time of finger foods, appetizers and desserts. While going through my photo files this morning I saw a couple pictures I took of a package of frozen puff pastry shells I bought about a month ago. Maybe today would be a good day to do a "What Are Frozen Puff Pastry Shells?" There is one overwhelming popular brand for this sort of thing that you'll find in most of your area grocery stores. It's in the frozen food section, near the whipped cream, frozen pie shells, frozen fruit and desserts. When you open the package you might be surprised to see they are not puffy and simply need reheating, but instead are flat, like a perforated piece of cardboard. 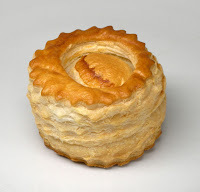 You snap them apart and bake according to directions on the package which includes baking quickly at a very high temperature to help in the raising process of the many, many layers of puff pastry. When done correctly you end up with a little tiny pastry that is not yet a shell to be filled. Instead, you have to carefully 'scoop' out the center, leaving a tiny little vessel in which to fill with either a savory filing like a mini quiche, tiny little ham and a sauce or even a cream cheese and chive filling, etc. or can also be used for a sweet dessert bite when filled with mousse, pudding, whipped cream, etc. My personal opinion is that although cute, they are rather greasy for our tastes. I didn't like the taste (very chemical tasting) and thought the greasy layers were just a bit too much for me. I would prefer to whip up a batch of mini cream puffs I think instead, and use those for a delicious mini puff appetizer but in a pinch or if I was serving mini quiche or something savory instead of sweet I would buy these again. Did you Make Your Mini Thanksgiving Dinner Cupcakes? These are a tradition in our home and my three teens all say they fully intend on carrying on the tradition to their own families as they grow up and get married. As a matter of fact we've spread this tradition far and wide as many (many!) friends from all around the country now make these for their families as well! This Thanksgiving was a busy one for us. My new job kept me working right up until Thanksgiving Day. But the kids (and their friends!) all were reminding me constantly and asking if I'd made the cupcakes yet. Oh yes... nothing would keep me from making the cupcakes. LOL. I thought I would share a couple of the "in progress" photos for you! This recipe is complied from a few different places and all smooshed together to make one. A major newspaper publication has published one similar, as well as numerous websites, magazines, cookbooks and more. There is a reason for that! Yum! It's everything I love... and nothing I don't care for (like chocolate! Ha). It's a Crepe cake or Crepe Torte with my ultimate favorite comfort dessert; a thick vanilla custard mixed with fresh whipped cream. 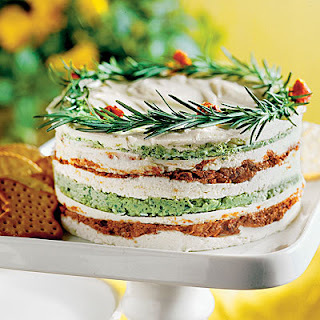 The 20 layers is incredible to see and is so rich and pretty it's perfect for a holiday open house or gathering. Make this recipe batter and filling the day before you want to serve the cake! For the batter, cook the butter in a small pan until brown. Set aside. In another small pan, heat the milk briefly. Allow to cool for 10 minutes. In a mixer on medium-low speed, beat together the eggs, flour, sugar and salt. Slowly add the hot milk and browned butter. Pour into a container with a spout, cover and refrigerate overnight. To make the crepes, bring the batter to room temperature. Place a nonstick or seasoned 9-inch crepe pan over medium heat. Grease the pan lightly then add about 3 tablespoons batter and swirl to cover the surface. Cook until the bottom just begins to brown, about 1 minute, then carefully lift an edge and flip the crepe. Some use their fingers. Cook on the other side for 5 seconds. Place the crepe on a baking sheet lined with parchment paper. Repeat until you have 20 crepes that are the same size and perfectly round. Bring the milk to a boil. Turn off the heat and stir in the vanilla and let cool for 10 minutes. Fill a large bowl with ice and set aside a small bowl that can hold the finished pastry cream and be placed in this ice bath. In a medium heavy-bottomed pan, whisk together the egg yolks, sugar and cornstarch. Gradually whisk in the hot milk, then place pan over high heat and bring to a boil, whisking vigorously for 1 to 2 minutes. If you have one, press the pastry cream through a fine-meshed sieve into the small bowl. Set the bowl in the ice bath and stir until it cools a bit. Stir in the butter. When completely cool, cover and refrigerate. Whip the heavy cream with the tablespoon sugar and the Kirsch. Fold into the pastry cream. Lay 1 crepe on a cake plate. Using an icing spatula, completely cover with a thin layer of pastry cream (about 1/4 cup). Cover with a crepe and repeat to make a stack of 20. Chill for at least 2 hours. Set out for 20 minutes before serving. Dust the top with confectioners sugar. Chocolate, cinnamon, almond and apple. What an interesting combination! To make it even more interesting it used hard cooked egg yolks... odd! I have this recipe wrote down in my files and there is a scribble of 'food and wine' next to it. I believe it came from a food and wine magazine or article a few years ago. I tucked it away with a notation next to it to make it in the winter time. This still makes sense to me as it really seems a cold weather dessert. Perfect for Christmas or a holiday open house! Cream the butter, add the powdered sugar, ground almonds, egg yolks, cinnamon and salt and process until smooth. Add the rum and mix. Add the flour and baking powder and mix well. Transfer the dough to a floured work surface and gather into a ball. Cut the dough into thirds; pat each piece into a 6-inch disk and wrap separately in plastic. Refrigerate for at least 2 hours and up to 2 days. Let the dough soften slightly before rolling it out. Preheat the oven to 350. Line 3 baking sheets with parchment paper. On a lightly floured surface, roll 1 disk of the dough into a 10-inch round. Cut out a 9-inch round. Carefully transfer the round to a parchment-lined baking sheet and chill for 30 minutes. Repeat with the remaining disks of dough. Prick the rounds all over with a fork, then bake them one at a time for 20 to 25 minutes, or until lightly browned. Transfer the cakes to a rack and let cool completely. Filling: In a bowl, combine the apple with 1 tablespoon of the sugar and the cinnamon. In a large heavy skillet, melt the butter over moderately high heat. Add the apple and cook over high heat, stirring, until lightly crusted and tender but not mushy, 3 to 5 minutes. Add the rum, stir the apple to coat. Transfer to a plate and let cool to room temperature. In a small saucepan, heat the cream with the cinnamon sticks until almost simmering. Remove from heat, cover and let steep for 10 minutes. Meanwhile, melt the chocolate in a metal bowl set over a saucepan of simmering water. Remove from the heat. Strain the hot cream over the chocolate; discard the cinnamon sticks. Gently stir until smooth and let cool until tepid. Just like in fashion, food also has fads. (How about all those F's in that sentence! Ha). Last year the biggest rage and 'must have' on everyone's lists were; cake balls. Beautiful to look at, similar in appearance to truffles and easily mistaken for a truffle until you bite into them, they are tiny little balls of goodness - compacting cake and frosting into one bite instead of a slice. Simple to serve, great for an appetizer or dessert, they go perfectly with almost any situation, party, meal or occasion. The thing is... you don't really need a recipe. Oh I know... some of you groan when I post recipes that don't really need recipes. LOL. I know some readers think they can't cook or bake unless they are told exactly, precisely how much of everything to use and don't believe they can cook using a 'dash of this' or a 'drop of that'. But you can. Especially this recipe! As a matter of fact, this is the kind of recipe you'll want to make with your kids. Scrub their hands really well (and get under those fingernails!) and then let them 'go to town' with this one. Crumble the cooked and cooled cake by rubbing the cake in your hands. Mix the crumbs thoroughly with butter cream frosting to form a dough. This is where you use your best guess on amounts. You want the cake to stick together using the frosting. Divide the cake dough into small pieces and roll into cake balls. Chill in the refrigerator for one hour. Melt the chocolate in a double boiler or a bowl heated over hot water. Remove cake balls from the refrigerator. Insert a toothpick into cake ball, dip in the melted chocolate and then roll into colorful chocolate chips or almonds chips, or coconut powder. 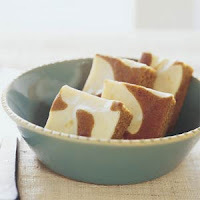 You can also dip and let them set and then use a bit of contrasting chocolate or white chocolate (or almond bark) to drizzle over the finished bites.